Shopping for a running shoe is hard enough without your feet being a size US 14 or larger. Clothes are relatively easy to find; running shoes are an entirely different matter. And if you do find a running shoe in say, a size 16, the color or style might not be of your choosing. Brands and retailers don’t stock these larger sizes because of merchandising guidelines – allocating budget to higher-selling sizes ensures a higher stock turnover. Anything above size 13 is considered a stock risk. The median size is a US 9 – that’s why the published weights are based on that size. Not only that, even shoe costing is done on the sample size first and then later graded to smaller or larger sizes. Also, footwear manufacturing molds and dies are made by size. An additional investment on the production tools of larger sizes might drive up the retail cost of the shoe – costs are spread across the entire model and not just the size. You get the general idea. There’s a very good reason why larger sizes aren’t easy to find – they aren’t made in the first place. Outlet malls are a good place to find plus-size shoes. Stores are usually arranged to promote a self-service model where shoes are stocked based on their size. You can also place a special order at your local running shoe store for a size you want. But the shoe might not end up fitting so there’s grief for both parties involved. Shopping online is a good way to find larger sizes. Most e-retailers make it easy to filter running shoes by size, so that’s not the problem. The question is – how do know which ones to pick? Runners with larger feet generally tend to be taller than the average person. A larger frame also means additional weight, so it’s important for the shoe to be supportive. This guide does not feature overly soft shoes or hard-to-find esoteric ones. We’ll stick to mainstream brands for this one. It’s not surprising that New Balance offers some of the largest sizes. It has always been the one to offer multiple widths in most of their shoes. Needless to say, if you’re a runner with big feet, New Balance will take care of ya. The brand dominates this list with the highest number of shoe models. Brooks and Saucony come a close second. Many popular shoe models by Brooks and Saucony extend till a size 15. Within Brooks, only the Beast 18 and the Addiction 13 are sold in a 16. We want to point out that this guide might not be relevant outside North America and Europe. Many brands outside these continents are run by distributors who might not stock larger sizes. Still, we’ve recommended popular brands as they are more likely to offer inventory in bigger sizes. The guide is divided into four categories – neutral trainers, stability shoes, lightweight neutrals, and road racing. The sizes sold are mentioned next to the model name. Category 1: Best neutral trainers available in larger sizes. The 1080 V9 is a great large-size pick due to its well-rounded character. The thick Fresh Foam midsole is softer than before and makes the V9 more comfortable than the V8. It’s good for the long miles, and then some. Sometimes you want less of a shoe; the Beacon is just that. Available till a size 16, the Beacon features a single-density foam midsole with a knit upper for cushioning and interior comfort. The Beacon is in the Goldilocks zone between the Zante and the older Boracay (980) – a perfect blend of versatile cushioning and low weight. 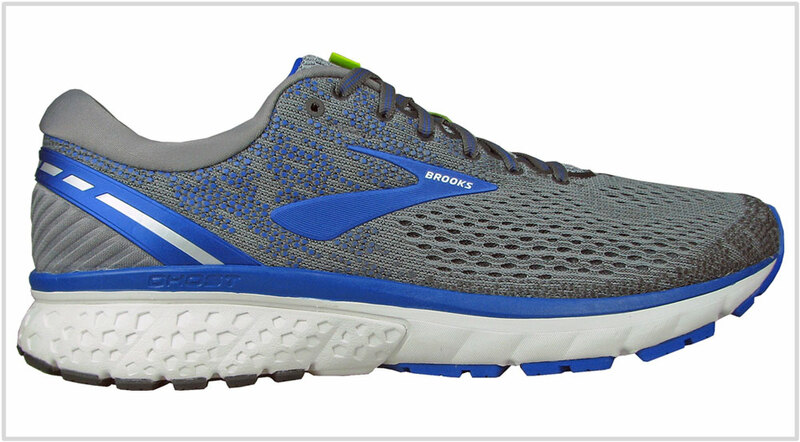 The Brooks Ghost 11 is a neutral running shoe with a cushioned ride and plush interiors. It isn’t too soft; in the context of this guide, it’s somewhere between the New Balance 1080 and the Saucony Ride. That makes it an ideal shoe for comfortable daily miles. If you need a shoe with more substance underneath, then the Brooks Glycerin 17 is the next best thing. The Glycerin is also available till a size 15. Nike’s dependable workhorse retails till a size 15. It’s worth noting that half sizes stop after size 13, after which it’s only full sizes. 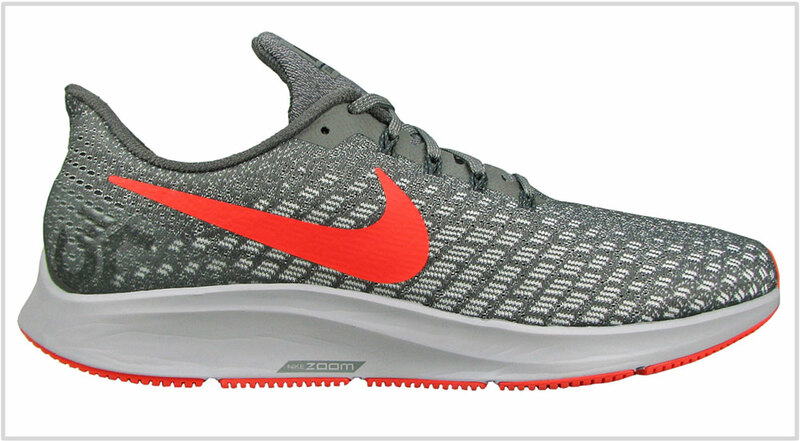 If you are a size 14 or 15, the Nike Pegasus makes a lot of sense as a daily trainer. It is fairly supportive and cushioned enough for most run types. The upper has plenty of room along with multiple widths. The Epic React Flyknit rides softer than the Pegasus and has a more comfortable upper than the Epic V1. It’s also very lightweight due to the React foam midsole. If your preference is ride comfort then the Epic React makes a lot of sense. Use it as a daily running shoe or a long-distance race shoe. Neither too firm or not too soft, the Ride has always occupied a special spot in the neutral cushioning category. If the New Balance 1080, the Beacon and the Nike Epic React are too soft for you, then the Ride ISO should be your large-size shoe. As long as you’re not a size 16, that is. Category 2: Best support trainers available in large sizes. Trust New Balance, the king of widths, to make a shoe in sizes where other brands fear to tread. The New Balance Vongo V3 could be your one shoe to do it all. Though it’s classified as a stability shoe, the Vongo’s behavior is fairly neutral. It is cushioned and supportive at the same time. A thick Fresh Foam works together with a split outsole to deliver high-mileage cushioning and smooth transitions. The Vongo sells till – hold your breath – a size 18. 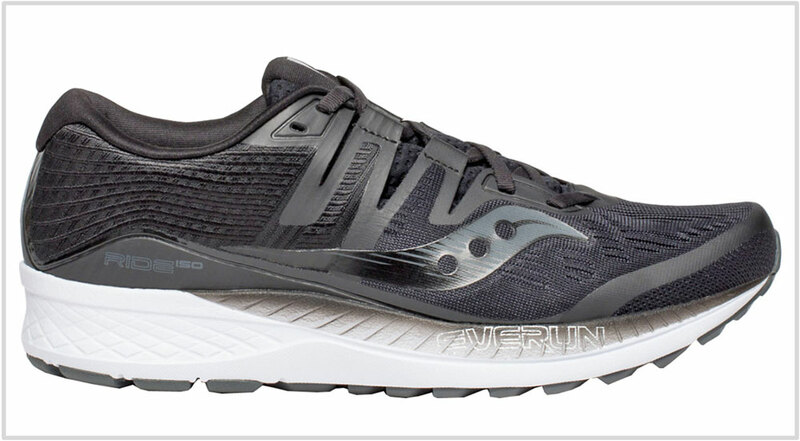 For a built-up stability shoe with all the bells and whistles, the Saucony Guide ISO 2 is fairly lightweight. This 8 mm offset support shoe weighs just over 10 ounces and provides an optimal mix of support and underfoot padding. The ISOFIT upper is sleeved for a comfortable and secured fit. The Structure 22 is Nike’s long-continuing stability model. The upper has a secure fit due to the inner sleeve, Flywire lacing, and the molded side panel working together. Underneath, a very firm midsole provides a stable foundation. Though the inner midsole has a firmer section, the Structure doesn’t exhibit a pronounced motion-control behavior. Category 3: Best lightweight trainers available in large sizes. Look no further if a lightweight neutral pacer is what you want. Surprisingly, New Balance sells up to a size 16 in these. Even with its 7.3 ounce/208 gram weight, the Zante has a ride cushioned enough for at least 10K – you can go longer if you’re accustomed to running in low-profile shoes. The upper is stretchy for a snappy and snug fit. The Pursuit isn’t in the exact class as the regular Zante. It’s got a lower profile cushioning, less weight, and a more shape-conforming fit. The 890V7 has been completely refreshed for 2019. 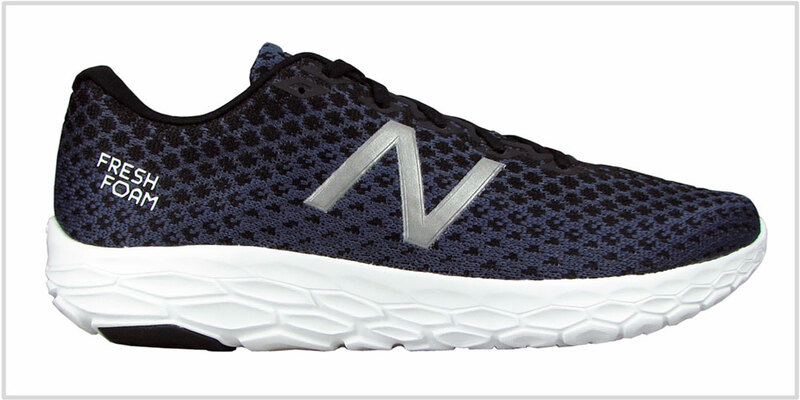 It is so different than the outgoing 890V6 that it deserves a name change. The forefoot no longer features the TPU bands. The 890V7 uses a foam based outsole which feels uncannily similar to the next shoe on the list – the Kinvara 10. Even the upper ditches the older design for a completely new kind – the 890 now has a single-piece knit outer upper with a padded tongue. 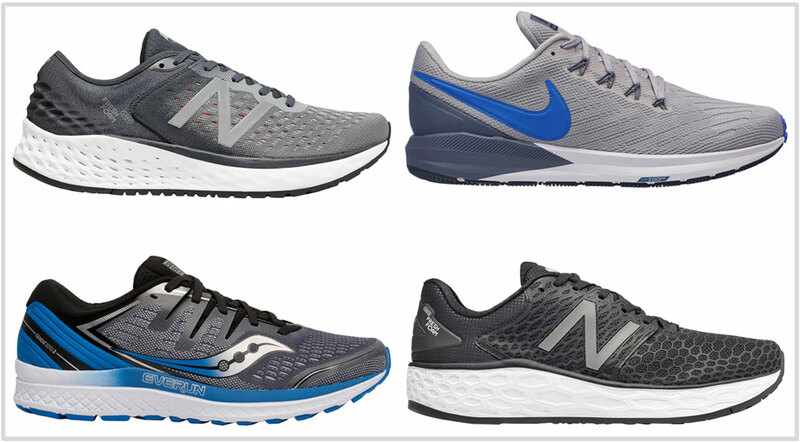 Regardless of the change in personality, the 890 is a great pick as a lightweight trainer. It’s year 10 for one of the most popular lightweight trainers. The Kinvara had lost its way some time during the past few years, but the V10 is now closer to the founding concept. Its 4 mm offset midsole uses a firm EVA base under a response Everun foam layer and a molded insole. The upper is a lot cleaner – there’re no bothersome Prolock or other unnecessary bits – and even the heel collar gets the foam pods back form the original Kinvara. Category 4: Best road racer available in large sizes. Unfortunately, we don’t see the 1400 listed in a size 15 so the 1500 will have to do. The 1500 is a road racer with a difference – its midsole has a small medial post for added firmness on the inner side. Not that the rest of the midsole is soft. The Revlite foam midsole is very firm with a grippy outsole below – and that’s what makes the 1500 great for fast runs and even track workouts. We prefer the 1500V4 though due to the thicker insole and the better fitting upper. So if you can find the V4 in a size 15, that’s an option too.